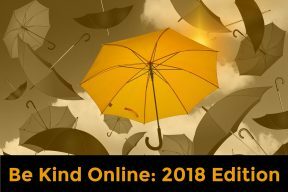 This month on the blog we are all about Etsy, the online marketplace for “unique goods.” We have a lot of local people who use Etsy as an ecommerce tool, and they’re the best people to talk to about the platform! 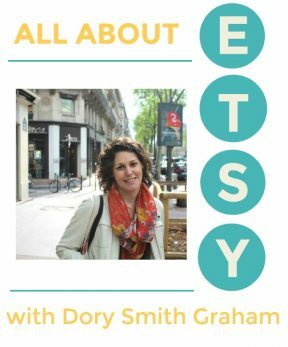 Dory Smith Graham, owner of Worthy Goods, has been using Etsy since 2008 to sell her products. 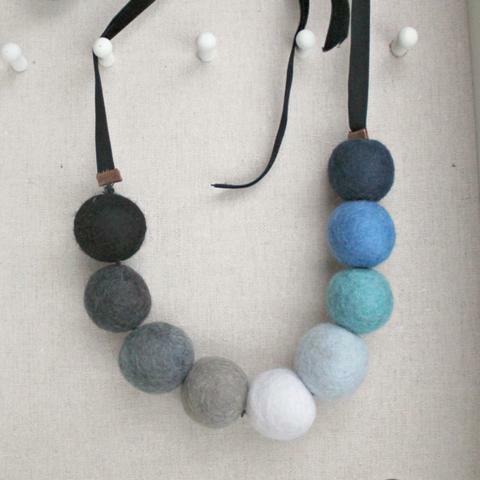 She creates bowties, wool felt jewelry, scarves, and much more from organic, sustainable sources. Here’s what she has to say about Etsy (BEC questions in bold). 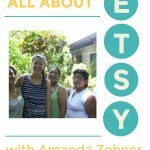 What made you decide to use Etsy as a marketplace for your business? Etsy was fairly new back in 2008 when I started out, a handmade selling platform that was just beginning to take off. It had a very low barrier-to-entry, and that was perfect for me. I had a wicked slim product line at that point, four reversible baby slings and very little extra time with a 6 month old, a sewing hobby and working part time as a goldsmith. I was able to get the shop up and online in just a day. 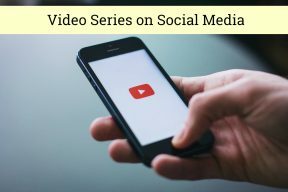 Do you sell your products anywhere else online or in real life? You bet! At SevenArts in Ellsworth, year round, you can find much of worthygoods full lineup of hats, bow ties, linen smock aprons, and more. Other shops that carry worthygoods are Island Artisans in Bar Harbor and Northeast Harbor; Salon Naturelles, Bar Harbor; Quench, Belfast; Archipelago, Rockland and Center for Maine Craft at the Gardiner exit. Online there are three venues: my main website, worthy-goods.com with a full product line and I have two Etsy shops as well, worthygoods, and the other is worthygoodstextile where I sell organic cotton fabrics and vintage wooden spools & bobbins from shuttered textile mills. I vend at a handful of vibrant summer and holiday fairs locally on and around MDI as well as in southern Maine. My very favorite events to show at are the IAA Labor Day Fair on the Village Green in Bar Harbor and PICNIC Holiday in Portland. What has contributed to your success on Etsy? For the first couple years I received a lot of support as a member of the Etsy Maine Team. Then as a more senior member, I offered support to new members. 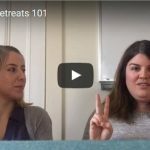 Etsy also offers webinars and email/pdf type ‘schools’ that help with solid advice in parcels that are usually easy to work through to improve targeted areas like developing voice, branding, Etsy SEO as well as planning for the holiday season. How do you stand out in this marketplace? Since worthygoods is dedicated to gear steeped in Maine style, I stand out with my product line and my branding. Both highlight and reflect my love of Maine from The County to the coast. My branding uses a vintage Maine lobster license plate, something that still resonates with me and my customers, especially. I find that the more I accentuate the things that ring true to me as reflecting Maine heritage, the more my customers see worthygoods as authentic Maine gear. What’s your advice for anyone considering selling their products on Etsy? If you are just starting out on Etsy, I would suggest you take a long, hard look at your pricing structure. Since Etsy has become a publicly traded company, they have really increased their transactional fees, added a fee-based payment processing platform, incorporated two paid layers of search-based advertising, in addition to the shipping platform. It’s easy to under-price yourself and hard to bump it up later on once you’ve established yourself a bit. Tell us about your most interesting Etsy transaction (i.e. weird customer questions/requests, or a purchasing experience). My favorite sale on Etsy for worthygoods was relatively uneventful, but Farrah Fawcett had an employee of hers custom-order and purchase a hat for a relative. I was on cloud 9 thinking that one of my Little Trapper hats was having a brush with fame in California. An interior design service, Homepolish reached out to me via worthygoods textile on Etsy for a variety of vintage wooden spools and bobbins. They purchased a bunch and used them for a pop-up men’s shop, J Hilburn in NYC. Esquire did a feature article on it and there was a decent bit of local press and write-ups on it, too. I still use their styling as inspiration for my own shop photos and decor. If you had $100 to spend anywhere on Etsy, what would you buy? Ooh, fun! I would buy myself a bag (or put it towards one, at least!) from roughandtumblebags.Etsy.com. I was in Portland recently and was thrilled to find a second-hand one at a cool consignment shop there. They are hand-made in Portland Maine and have a great lived-in look and casual feel about them. 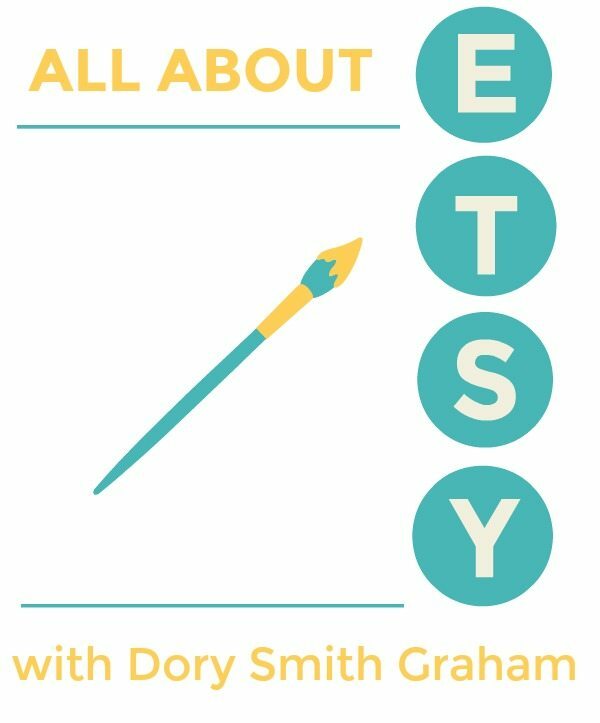 Thanks again to Dory for answering our Etsy questions, and make sure you check out her website!